AmigoCloud empowers companies and individuals to collect, manage, visualize, and analyze location data to better understand their business and reveal and hidden patterns to reduce costs and increase operational efficiency. We have developed the first Collaborative Mapping Platform, offering two products, a mobile application that helps our customers’ field crew collect data, and an enterprise-ready platform that enables them to analyze big location data. AmigoCloud has been accelerated by StartX (Stanford) and Code for America and has been named by GovTech100 for three consecutive years as one of the companies who is making a difference in creating technology for governments. We're a passionate team that loves challenges and wants to make people’s lives better. We believe that empowering everyone in a company to do what they think is best can lead to great things. As AmigoCloud’s Account Executive (AE), you’ll be key to driving lead generation and conversion activities for AmigoCloud in Colombia. AEs will be at the core of our marketing and sales strategies,helping us drive our growth. You’ll be learning integral skills that will foster your professional development in years to come. Your contributions and growth will help fuel our mutual success. As the point of the first contact in our sales process, you’ll be the face of AmigoCloud to new business opportunities. You’ll be expected to become intimately familiar with AmigoCloud’s product offering and key differentiators in the GIS space as well as you will qualify leads, gather as much information about the prospect as you can, and work with our sales team to close the sale. If you’re passionate about technology, interested in the data and GIS markets, understand SaaS, and are excited to take a key role in contributing to the success of a fast-growing startup, we want to hear from you. If you’re awesome and depending on what you love the most, you’ll grow in our sales team. ● Take ownership for building top-of-funnel sales opportunities for the sales team by sourcing and qualifying business prospects (20% inbound lead qualification, 80% outbound lead qualification). ● Manage a high volume of activity, including emails and calls, with the ultimate goal to set meetings with qualified customers to discuss our services. ● Critically evaluate our sales process and service to give us feedback on what resonates with customers and what doesn't. ● Collaborate closely with the rest of the sales team to ensure success down-funnel and better inform lead generation activities based on deals won and lost. ● Experiment and iterate to create high-converting, personalized customer introductions explaining our services. ● Manage sales lead data in SalesforceIQ to provide visibility to optimize lead generation activities. ● 1-4 years experience in sales or sales development. ● A proven track record of sales success at tech companies, large or small. ●You are an excellent communicator and enjoy getting to know customers out of genuine interest and concern for their needs. ● Ability to communicate clearly and concisely (both verbally and in writing). English is a desirable. ● A true passion for the products we're building, data-driven, and web technology. ● Positive attitude, sense of humor, and open mind. ● Courageous and resilient. Being on the phone doesn’t scare you. ● Basic comfort working with sales tools (e.g. Salesforce and high-end email automation toolsets). 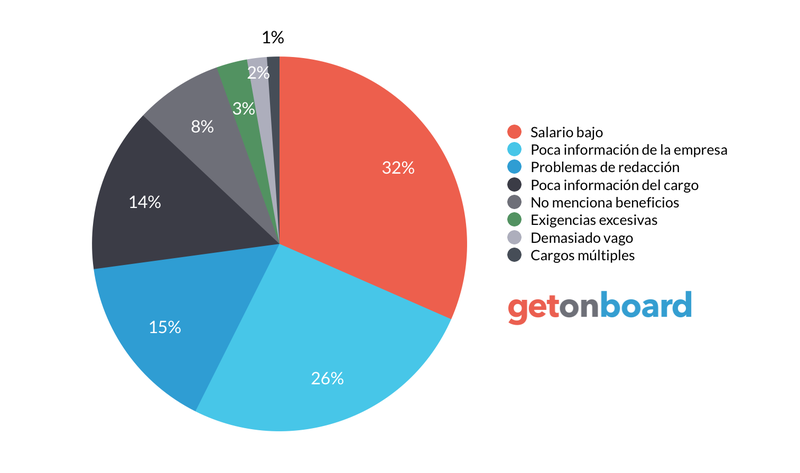 ¿Buscando empleos de Comercial y Ventas?